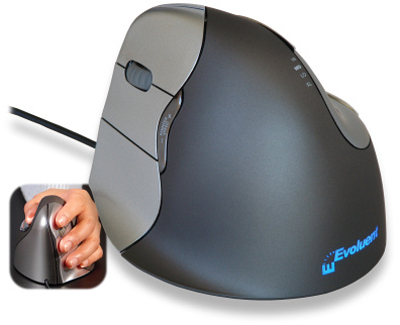 Shape: The Evoluent VerticalMouse 4 features soft contouring that the hand naturally forms into. 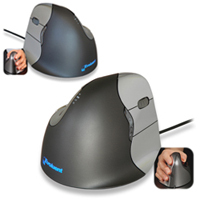 These contours also ensure comfortable grasp locations for a wide range of hand sizes. 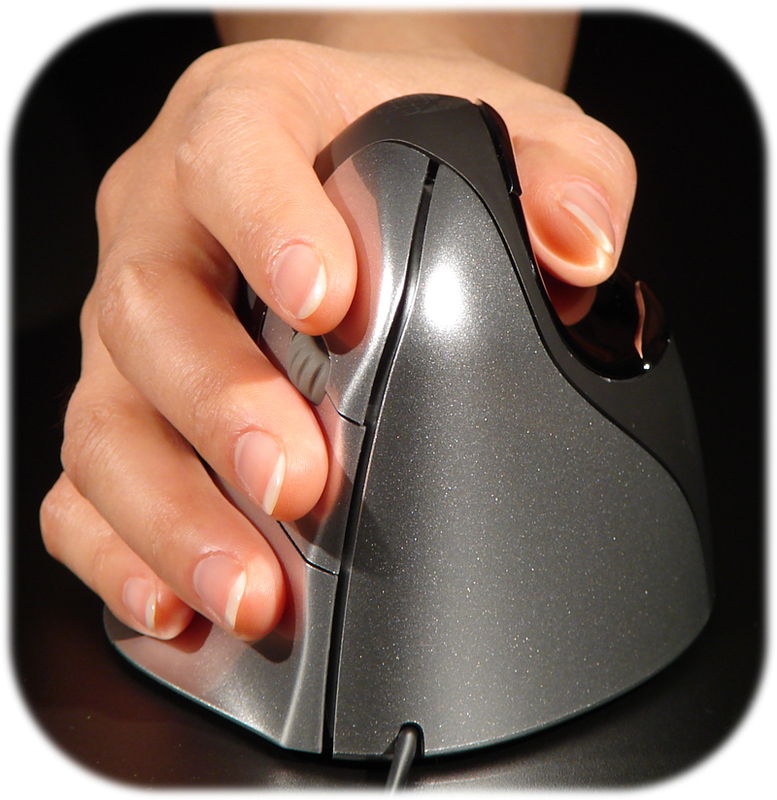 These contours, combined with the deep and slightly angled indentation for the thumb, reduce the pressure against the web of the hand. 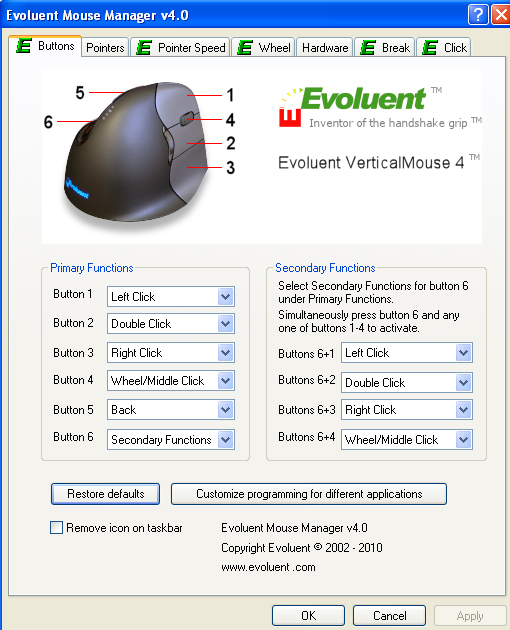 Multiple Sizes: The Evoluent VerticalMouse 4 Right hand model is available in a "Standard" size which accommodates most average to larger hands and a "Small" version for those with smaller hands. The sizing guide can be used to determine a suitable selection. 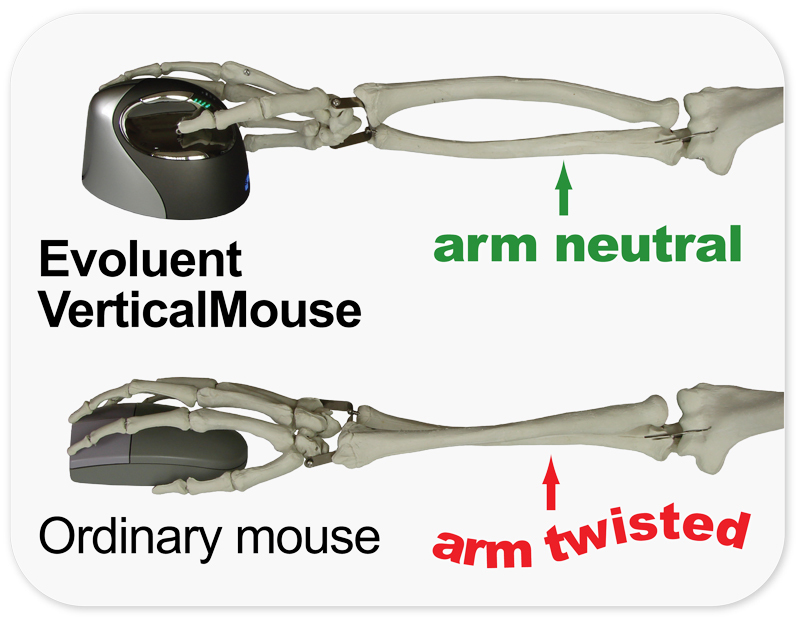 The Left hand model is only available as a "Standard" size. Warranty: 2 years. Please note that these mice come with "warranty tag" on the cord. If the "warranty tag" is removed, the warranty on that mouse is voided. 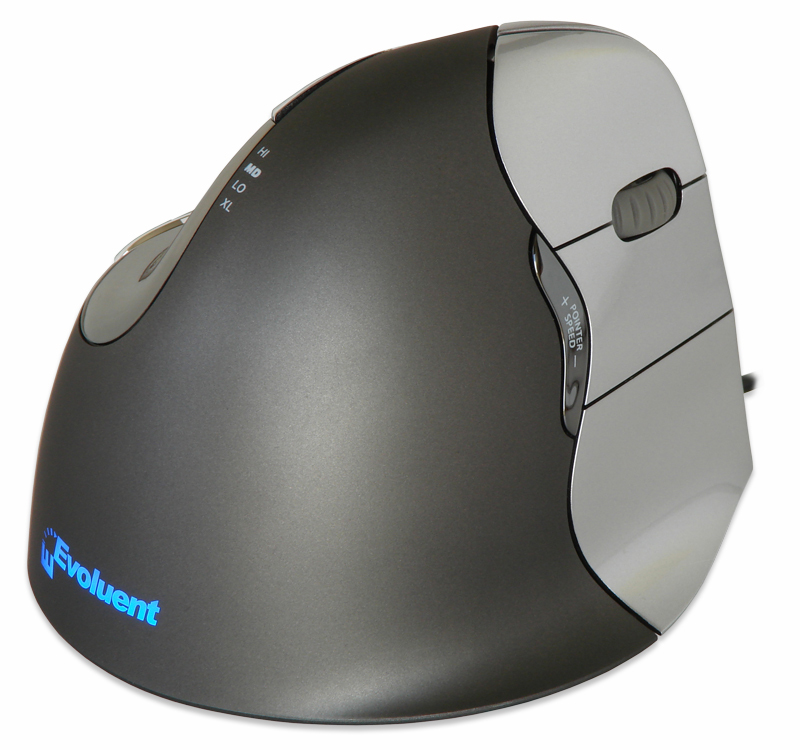 Note: The Mac driver does not work for the VM4L. 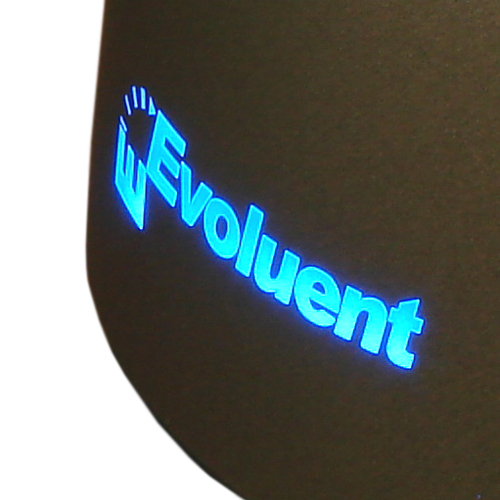 Standard (Right and Left): Silver buttons, grey housing, blue light for Evoluent logo, green DPI setting indicator. 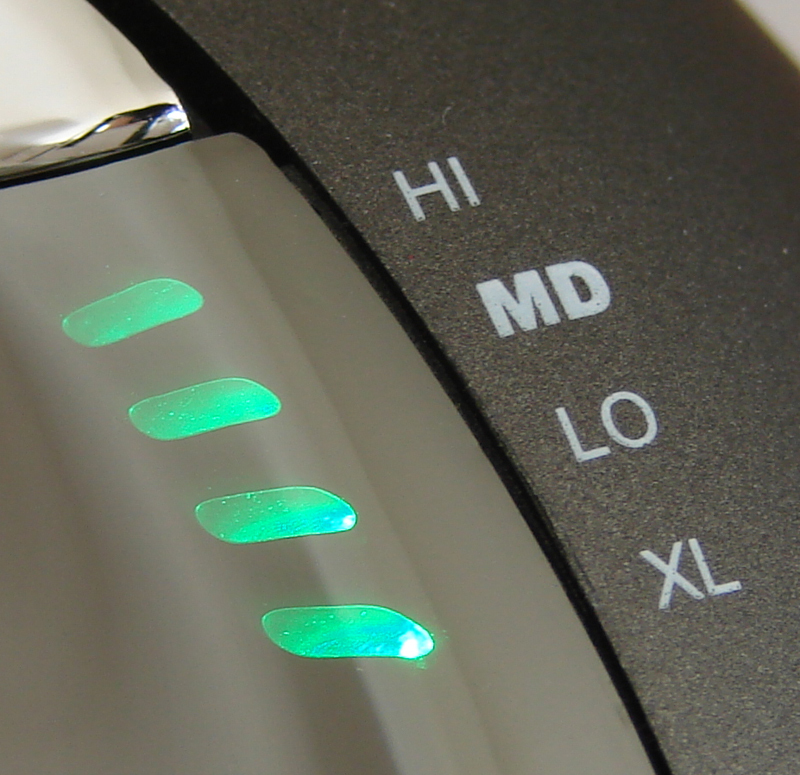 Small (Right only): Purple buttons, black housing, green light for Evoluent logo, red DPI setting indicator.